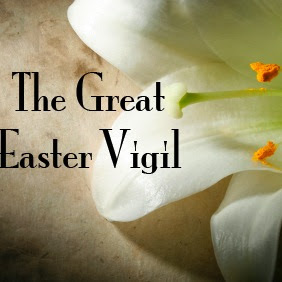 April 20, 2019	6:30 p.m.
Like the children of Israel who watched and waited through the night for the Lord of the Exodus, we too come together this night to watch and wait for the Lord of the Resurrection. We come, as Christians have come since the first century, to keep vigil and to prepare ourselves for the arrival of the One who is chief host and guest at the Easter feast to come. In this service, the darkness is broken. We hear stories told. These are our stories. We listen. We sing. We watch. And we wait for the feast to come. Finally, at last, Jesus comes; death has been defeated, the Easter Feast can begin!